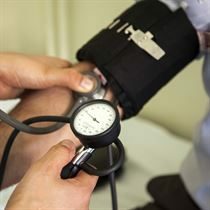 Having your blood pressure taken is probably one of the most common diagnostic procedures carried out by healthcare professionals. It's a simple and painless procedure, using a BP monitor and cuff that is placed around the upper arm, that gives a lot of useful information about the heart and the condition of the blood vessels and is also a common tool to monitor diabetes. The term ‘systolic pressure’ refers to the maximum pressure in an artery at the moment when the heart is beating and pumping blood through the body. ‘Diastolic pressure’ is the lowest pressure in an artery in the moments between beats when the heart is resting. Both the systolic and diastolic pressure measurements are important – if either one is raised, it means you have high blood pressure, also known as hypertension.